Located in a freshwater basin that is also connected to the Intercoastal Waterway, the Queens Harbour Yacht & Country Club offers excellent amenities for their members. The amenities eight clay tennis courts. 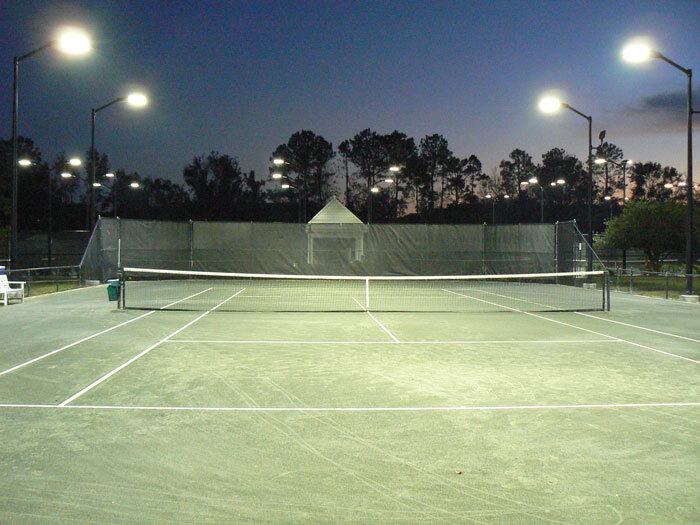 LSI supplied new lighting for all eight tennis courts, using (32) LED CourtBlade fixtures mounted to aluminum poles. This combination of fixtures and aluminum poles is especially suitable for the salt air environment present at this location.